The Skeeter is a two-seat training and scout helicopter which was produced by Saunders-Roe ("Saro") of Cowes and Southampton. 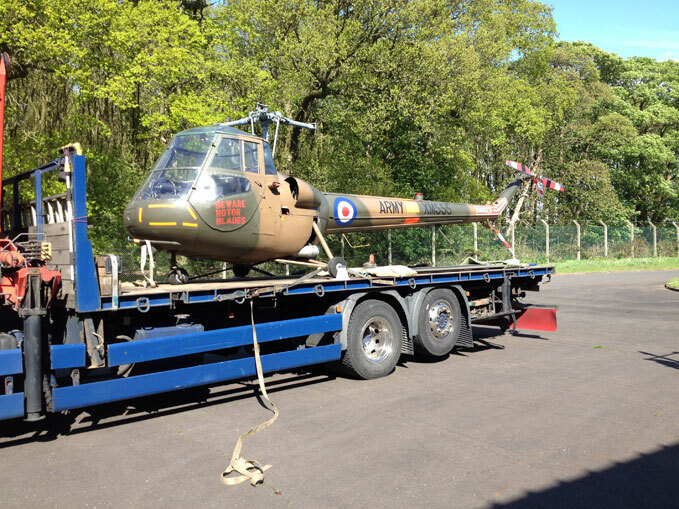 It has the distinction of being the first helicopter to be used by the British Army Air Corps (AAC) and several Skeeter AOP.12s were operated by the Central Flying School of the Royal Air Force. Dr Hugh Newell Chairman NELSAM: "The recent expansion of the museum is designed to explain the extremes changes in the development of transport during the 20th Century by presenting as complete a range of exhibits both civil and military as we can display. The Saro Skeeter represents the introduction of the helicopter into the air observation role of the British Army and the acquisition of the helicopter greatly enhances our ability to describe the fusion of land and air assets in our military collection. We are extremely grateful to the RAF Museum for this gift to enhance our displays."